News | Delta Dance Academy | A unique program that allows students to explore their passion for dance within the school curriculum. Congratulations to DA students who performed in the Delta Secondary School Remembrance Day Ceremony. We are very proud of their stunning lyrical performance to “I Will Remember You” by Sarah Mclachlan. Choreographed by Melissa Pribula, it was a perfect reflection of the importance of the day and its theme of remembrance, hope, respect and understanding. To see the video, please visit the “Media” tab and then look under the heading “Videos”. It is hard to believe Winter Break is around the corner and the Dance Academy has already completed a very successful, dance-filled Term One. Dancers have spent the last two and a half months completing a variety of curriculum related lessons, instruction and assignments. Dancers attended a field trip at the Circus Lab where they tried out silks, tumbling, trampoline and trapeze moves. Dancers have participated in conditioning workshops as well as a Floor Barre lesson with Madoka Sato.They have worked with each of our regular dance instructors in a variety of genres: ballet, hip hop, salsa, contemporary, lyrical, jazz and Bollywood. They’ve met new peers, grown their confidence and taken class in both a Theatre and a studio setting. 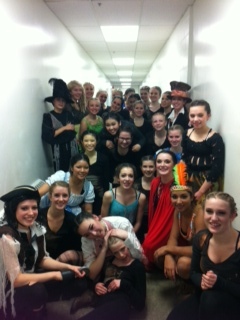 This year’s students are a lovely group of young dancers who are sure to grow within this unique program. Dancers were divided into two groups at the beginning of October, each with its own set of learning outcomes and individualized instruction. While the formal names for these cohorts are Foundations and Performance, dancers are close to choosing a nickname for their groups: the most recent front runners are Fuego and Vida, respectively – Spanish words for “fire” and “life”. 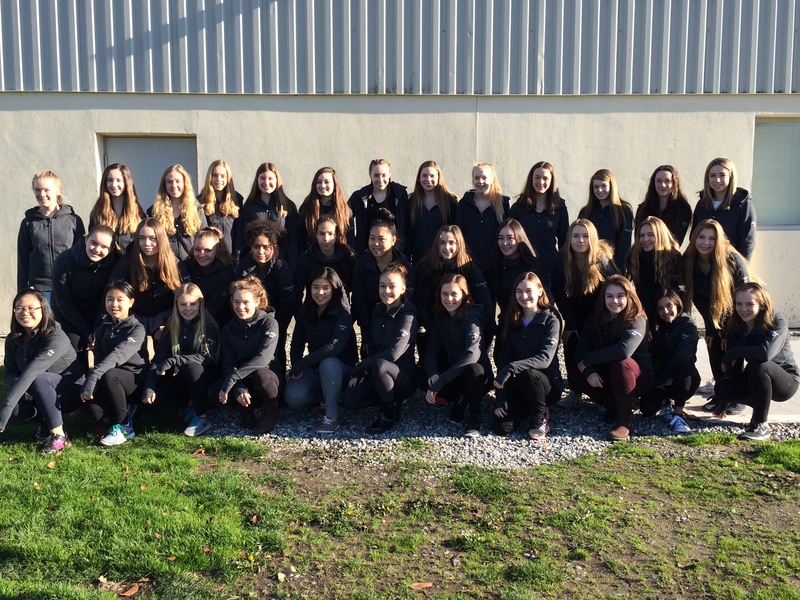 Dancers also recently received their Academy jackets and all seem to be enjoying the colour and comfort of them! We are very proud of the Performance group’s professional and stunning lyrical performance in DSSs’ Remembrance Day Assembly on November 10 to “I Will Remember You” by Sarah Mclachlan. Choreographed by Melissa Pribula, it was a perfect reflection of the importance of the day and its theme of remembrance, hope, respect and understanding. To see the video, please visit our webpage, www.deltadanceacademy.com under the “Media” tab and then under “Videos”. As we look towards Term Two, it is important for parents and guardians to save the date for the Dance Academy Spring Show. Each student will be entitled to 4 free tickets for their parents/guardians and guests. We hope that you will also bring many family and friends. Students have already started working on choreography in a variety of genres. Here is the list below of the choreographers assigned to each genre. It sure is to be a unique, exciting show! I hope the holiday season finds you well. Enjoy your time with family and friends over the Winter Break. Dance Academy Returns to the Genesis Theatre! DSS Dance Academy is excited to make its return to the seismically updated Genesis Theatre for the 2016/2017 school year! Dance Academy applications are now being accepted for 2016-2017 school year. Please see the “Apply” page for information about acceptance, audition and placement in the Academy. We’re excited for another year at the Delta Dance Academy!